← You’ve Never Seen The Flash Like This! Unless You Watch Honest Trailers a Lot! I look forward to the Marvel Netflix shows about as much as I look forward to their new movies each year! The quality is through the roof, and I can always count on a solid weekend of binge-watching, as if we were dealing with a 13-hour movie. I’m totally OK with that! The production values are great, the stories and characters are phenomenal, and Marvel continues to be outstanding entertainment. Their new show, Luke Cage, proved to be no exception last weekend. Sometimes I think it would be great to get a full movie/TV crossover, and sometimes, when I’m in the middle of a great show, it just doesn’t matter. Luke Cage deserves to stand on its own as a solid, enjoyable entertainment. It’s a full season of television that delivers powerful drama, amazing characters and some great special effects. This is the sort of superhero storytelling that I could only have dreamed about as a kid. So join me after the jump for my season review of Luke Cage on Netflix! Expect FULL SPOILERS for the show! Luke Cage was another great Marvel TV show. Their streak in Hollywood has found a second home on Netflix, and I am pleased as punch. Starting with a great leading man, Luke Cage is probably the most stylish thing Marvel has yet to put to screen. It creates a world unlike any other we’ve seen so far, and yet that world is grounded in the true reality outside our window. From there, it’s filled with fun and exciting characters, almost all of whom are not only people of color, but women of color. Smarter people than I have written some great think pieces about what this means, but I can at least acknowledge how great it is to see such a diverse cast in such a high profile show. There was a lot to love about Luke Cage. Misty Knight was especially great! But there’s no denying that the show sagged in the middle and just wasn’t as strong in the second half. And honestly, you can pinpoint the exact moment when things went from great to ehhhh: when Diamondback showed up at the end of episode 7 and shot Luke with the first Judas Bullet. 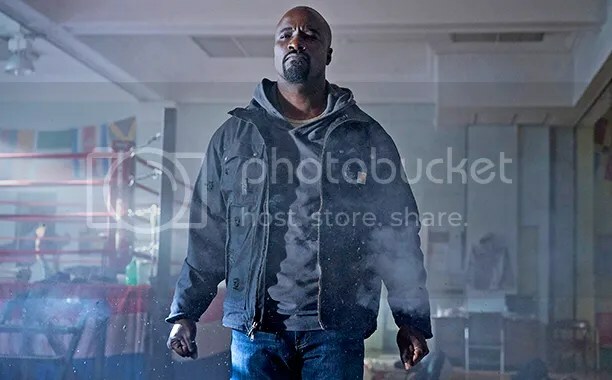 That started us on a path of several episodes where Luke Cage was out of commission, and while I totally understand the need to waylay the lead character a bit, the show just wasn’t as much fun when Luke wasn’t knocking bad guys around. The soul of the series seemed to just evaporate for several episodes, and only really came back in the penultimate episode. And it’s all down to one season-killing reason: Diamondback sucked. THIS IS HOW CINEMATOGRAPHY WORKS! Great villains have been a hallmark of the Marvel Netflix shows so far. Kingpin is amazing in Daredevil, and Kilgrave was a vicious monster in Jessica Jones. The full season allows these shows to really delve into their villains in ways that the 2-hour movies simply can’t. Unfortunately, Luke Cage doesn’t really have any noteworthy archenemies in the comics, but there’s no reason the TV show can’t build their own or take a minor villain and make them great. That’s pretty much what they did anyway, but then they made some really bad choices. Cottonmouth was great. 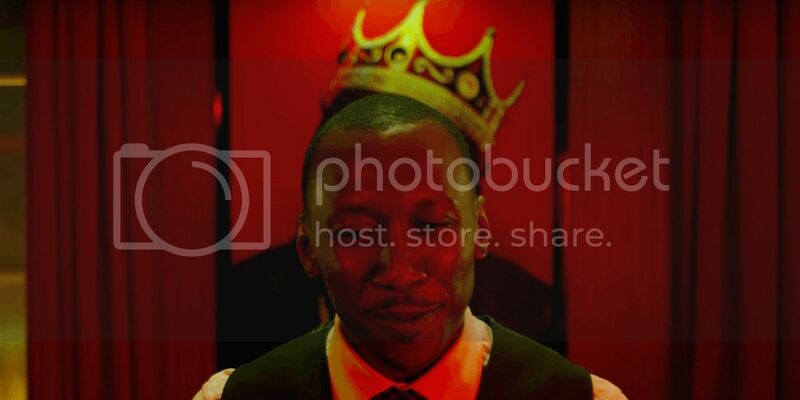 Played by Mahershala Ali, he was vile but stylish; evil but musical. Here was a villain with some depth and history, a villain with real personality, presence and menace. I love villains who are also human beings, and seeing Cottonmouth grieve for Pop or focus on the music at the club was exactly what a good villain needs to be well-rounded. 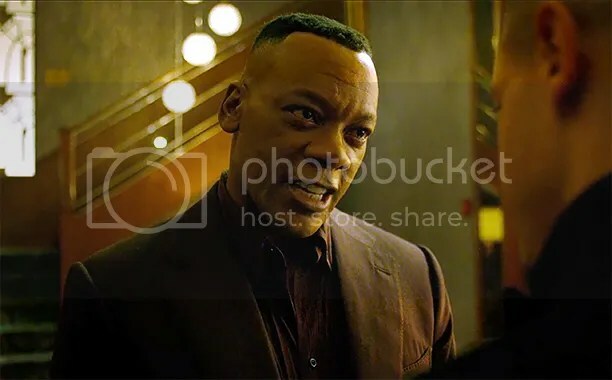 And he was perfectly matched against Luke Cage as a cerebral villain. Sure, he couldn’t hope to fight Luke one-on-one, but he was great as the untouchable king of Harlem vs. the street-level Luke. But then they killed him (in a great scene) and brought on Diamondback, who just plain sucked as a villain. As bold as it was to kill the lead villain halfway in, that turned out to be a bad decision. Not to darken actor Erik LaRay Harvey’s day, but he didn’t have even an ounce of Ali’s charm or verve. Diamondback was a raving lunatic with zero depth or personality. He’s just mad and crazy, with a hatred for our hero that literally came out of nowhere. The show does an OK job setting up Diamondback as the power behind Cottonmouth’s throne, but then tosses all of that out the window to reveal he’s just some psycho killer with personal history with Luke. Diamondback had nothing to do with Harlem, the heart and soul of the show. He was just a walking cliche with a gun, and then a really dumb costume. 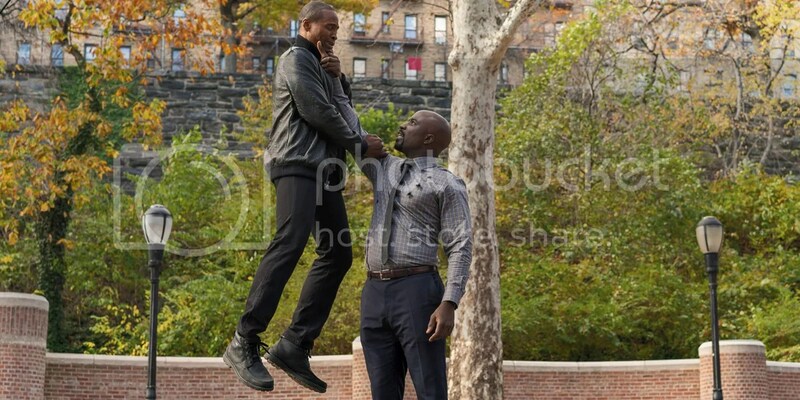 And correct me if I’m wrong, but are we supposed to believe that it’s just this huge coincidence that Diamondback and Luke Cage both ended up in Harlem? Diamondback was clearly set up with Cottonmouth long before the show’s timeline began. Was he just happily working his gun-running business, only to randomly find out that Carl Lucas was suddenly in town causing trouble? How dumb is that? Why did the show have to make the villain tie into Luke’s past? And it’s not like Luke’s childhood had much to do with the better first half of the season. I’m still not even sure if we found out how Luke was framed, and for what? Why did his childhood pal Willis Stryker have to be Diamondback? Why tie him to Cottonmouth at all? Why not just have Stryker off doing his own thing, and then he recognizes Carl Lucas on the news and decides to go squash old beefs? Why rely on this really dumb coincidence? Diamondback really dragged down this show. Fortunately, the last few episodes brought back the strength of the Harlem setting and kept the whole thing on the tracks. And Mariah Dillard was a solid villain, though I would have preferred if she had become a bigger boss by the end. She seemed to just go along in the shadows of Diamondback, which is another shame. She was great, and her evolution was a really good subplot, but I think she was overshadowed by Diamondback when she should have risen up to take Cottonmouth’s place. And I liked Shades, he was pretty cool and had a sort of wildcard aspect to him. So there were some solid minor villains, but the show really went the wrong direction with the season’s Big Bad. Mike Colter is great in the lead role, simple as that. He’s fun, he’s affable, he’s heroic, he’s down to Earth; he’s everything you could want in a superhero. I’ve heard some people complain that he’s a little too square, that Luke Cage from the comics is loud and proud, but I liked Colter’s Cage nonetheless. He’s a nice guy, he looks great in a suit, and he easily carries the show as the heroic lead. He’s not tortured like Daredevil or Jessica Jones. He’s a cool, friendly guy just trying to do the right thing. I like that in a superhero. Though much like when Thor destroyed the Rainbow Bridge at the end of Thor, or when Tony Stark destroyed all of his armors at the end of Iron Man 3, I’m not sure why Marvel keeps ending their movies and shows by creating a weird hurdle for future projects to jump over. Do the Defenders need to break Luke out of prison now before they can team-up? That seems like it’ll be a major hassle. 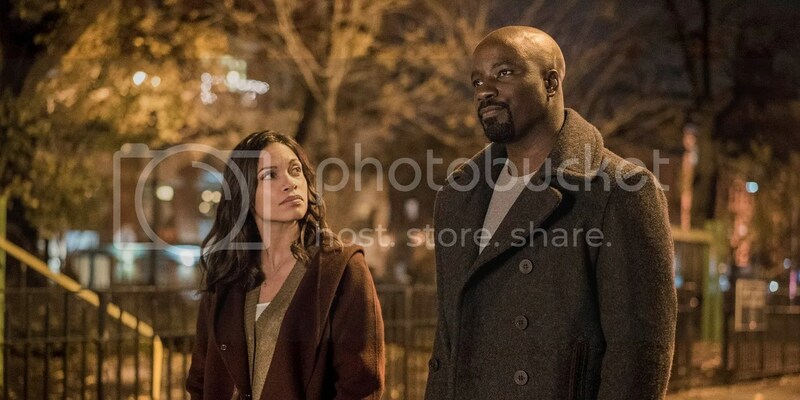 I understand that Mike Colter is impressively charming, and that Rosario Dawson is the very definition of gorgeous, but I just didn’t like them as a couple. Largely because falling for the hero was what Claire Temple did in Daredevil. It just seems weird that her thing would be falling in love with the heroes, and then for it not to be acknowledged. Maybe she has a thing for superheroes. That’s totally a legitimate character trait. But Claire seems like too strong a character for that. Why couldn’t she stand by her first instinct and not give in to the charms of Luke Cage? She is way too cool and way too competent to be reduced to a love interest. And yes, it’s totally fine for a female character to fall for whomever she wants. But Hollywood treats love interests a specific way. The concept has a reputation. And if you scrub that aspect of Claire’s character out in Luke Cage, she’s infinitely cooler as the Night Nurse. If she falls in love with Iron Fist, then we’ll definitely have a problem. 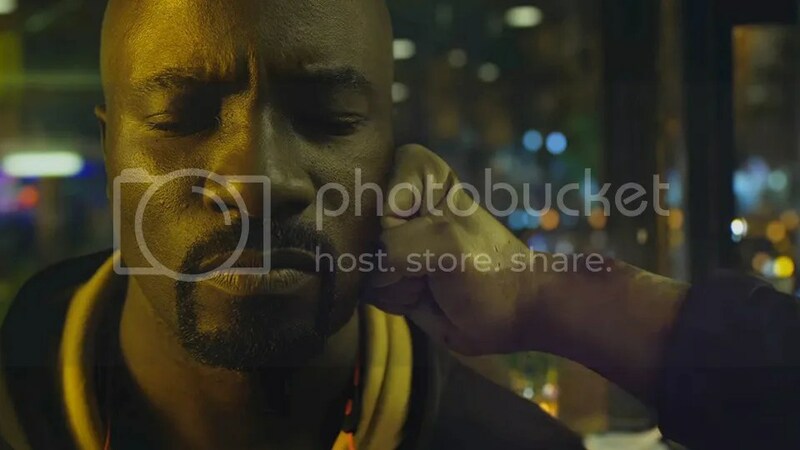 Whoever came up with Luke Cage’s ‘bonk’em on the head’ fighting style should get a medal. That stuff is genius! I don’t think we’ve seen that sort of fighting anywhere else in superhero movies or TV shows. Everybody usually knows martial arts, or at the very least they know how to brawl. But Luke just walks around smackin’ people on the head! Granted, in the real world, we know that that causes serious brain damage, but this is TV and is totally different! Instead of a debilitatingly cruel form of attack, it’s a funny and clever way to show how an invulnerable man with super strength might just stroll through a fight against nobodies. Major kudos to everyone who came up with that idea. 1. The most stylistic Marvel adventure yet! In some very special ways, Luke Cage stands alone — at least in the first half of the season. I don’t think we’ve seen anything else from Marvel that comes close to this kind of style, class and all around charisma in the show itself. From the villains to the supporting characters to especially the setting, Luke Cage takes us deep into Harlem, and I love it! As a straight white guy from middle class, small town America, I know absolutely nothing about Harlem and the kinds of people who live there. But Luke Cage makes it come alive in a way that really opens up and celebrates the culture. It’s one of the factors that makes Kamala Khan so fun to read. This is a new part of society I get to meet and greet. I especially enjoyed each time the show used a new Harlem’s Paradise singer as the soundtrack of another cool scene. Luke Cage isn’t just another superhero property set in a generic big city, even one that’s supposedly as gritty as Hell’s Kitchen. Luke Cage embraces the culture of Harlem and uses that to make an even better show than one might expect. It was a brilliant idea moving this show out of Hell’s Kitchen like everything else from Marvel and Netflix. Probably the best decision they made for the show. Granted, some of this style went missing during the sagging middle, but it came roaring back in the last two episodes. I loved Method Man’s big cameo, and the way they showed the community responding to Luke Cage in a cool, realistic way. 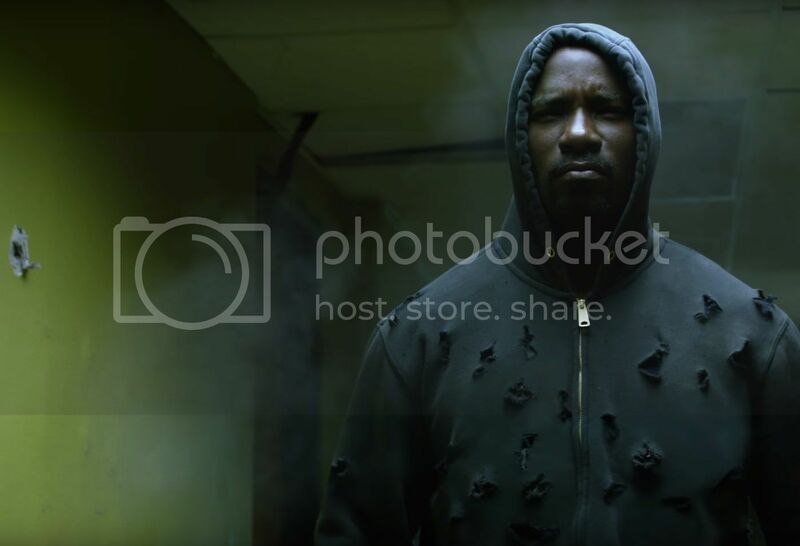 Major kudos to all the creative minds at work on Luke Cage! What did you henchies think of Luke Cage? Good? Bad? Great? Did anybody really like Diamondback or his costume? And are you excited for Iron Fist coming in March? Let me know in the comments! Posted on October 5, 2016, in Lists of Six!, Marvel, Reviews, Television and tagged Luke Cage, Netflix, Netflix Defenders. Bookmark the permalink. 6 Comments. Yep, I had more or less the same issues. I really gotta wonder what they were thinking replacing Cottonmouth with Diamondback like that. How do you create this really cool, stylish villain with a lot of personality and backstory, then replace him with the complete opposite for the climax? Same reason why the ruined the second half of Daredevil with the idiotic Hand plot: They thought that they needed a big brawl in the end. 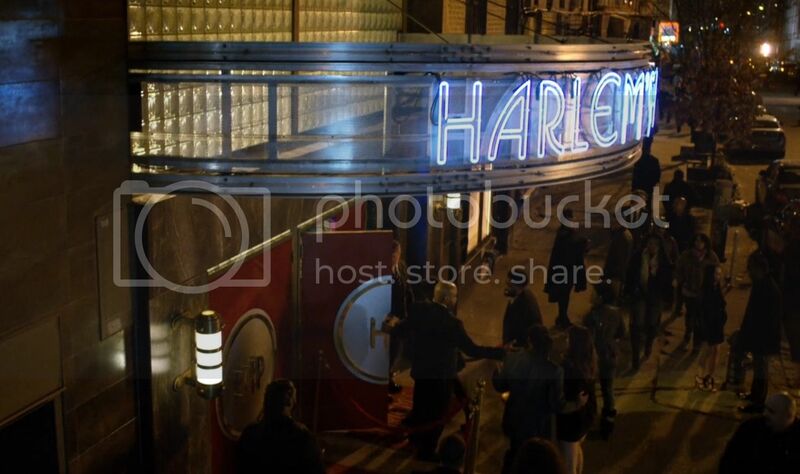 No matter that the whole hostage situation at Harlem’s paradise was way more compelling and would have created a way better finale. Cottonmouth was cool, but he died exactly when he was supposed to. He was done and it was time for Mariah and Shades to step up in a big way. And they did. They were amazing. I largely agree. The pacing of the second half faltered as the plotting wasn’t as good. Diamondback was too crazy to be truly menacing – he’s hinted as this powerful crime lord, but when he shows up, he acts like a complete idiot, to the point where Shades even comments on it. Cottonmouth was awesome. Really menacing, because he seemed smart and competent. Mariah was also great, really compelling. Once Iron Fist comes out, I really want a Daughters of the Dragon show, with Misty and Colleen. 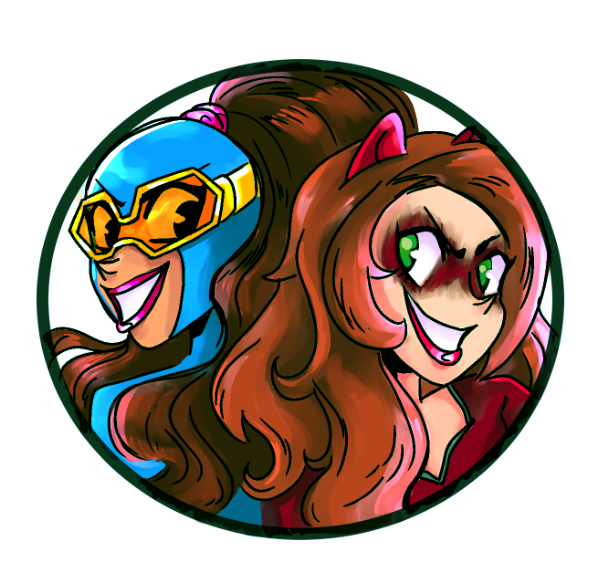 And Claire as a friend, of course. Also, I did find it hilarious that every woman who met Luke wanted a piece of him. Not that I blame them. But man, every woman had a thing for him. A Daughters of the Dragon show would be pretty amazing! I was slightly disappointed that Misty didn’t get her bionic arm in the end, even though they specifically went through a scene where her arm is shot and heavily damaged.